It’s been exactly a month since my trip to Sabah with James and Liew, and I believe that this post is long overdue. Since I do not wish to write everything in chronological order, I will just post some pictures below and tell you a little story behind each of them. For the time being, consider this post a work in progress. The picture you see above is that of Mount. 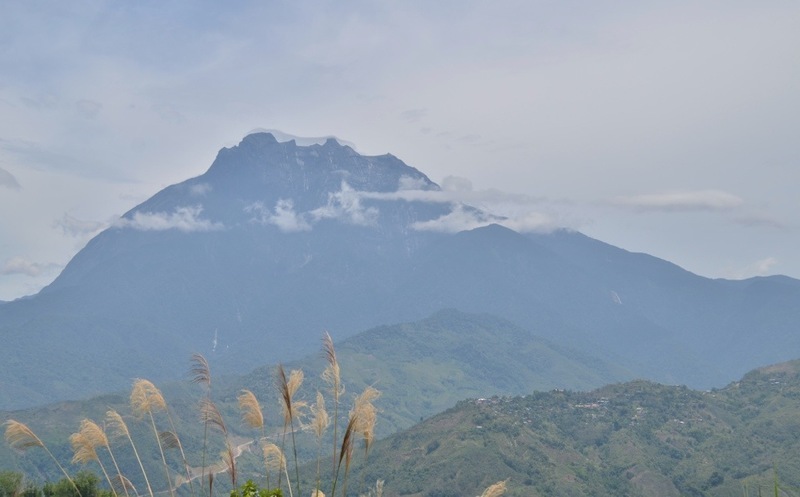 Kinabalu, the tallest mountain in Southeast Asia. This photo was taken at a small market near Bundu Tuhan. The view of the mountain from that point is magnificent. 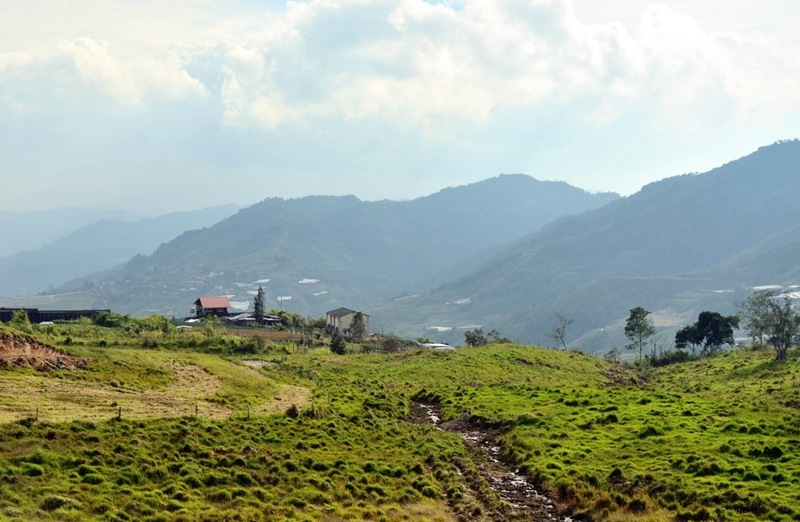 As we continued with our journey towards Kundasang town, we passed by the Kinabalu National Park, which is where you really should be going if you intend to climb the mountain. We went straight to the Desa Dairy Farm, which is reputedly the largest dairy farm on the island of Borneo. 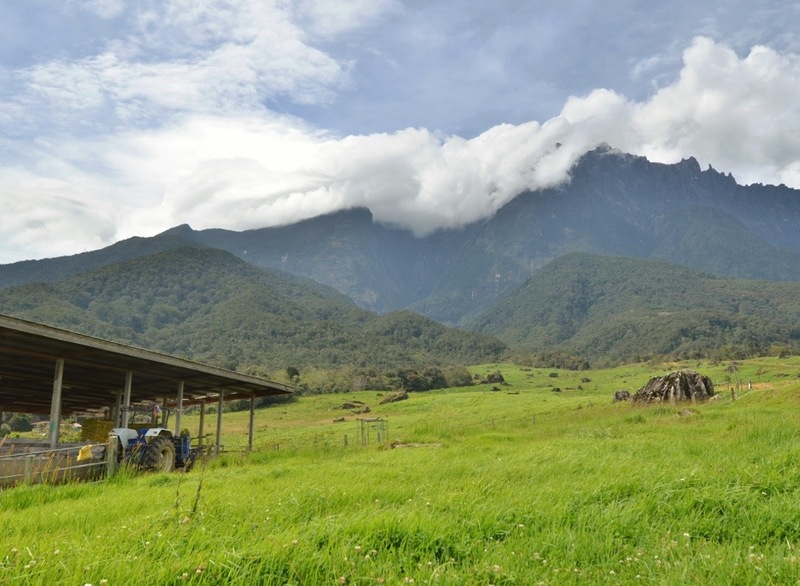 Here is a photo of the farm with the majestic Mount Kinabalu standing proudly in the background. Sorry, I didn’t snap that many pictures of the cows. It was a very windy day at the dairy farm. Wait. I think it’s always windy there. Even the pine trees had this strange curve to the trunk, I suspect is caused by the continuous force exerted by the winds throughout the growth of the tree. The winds were chilly but it had a nice scent to it. 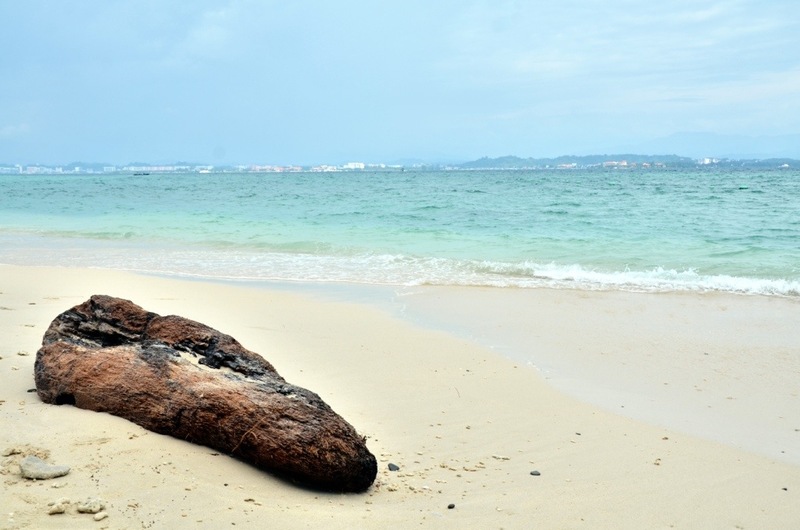 On the second day, we spent most of our time exploring Kota Kinabalu (abbreviated as ‘KK’), Sabah’s capital city.